We have been saying it time and again; parenting is not a cake walk. While it's great fun to raise kids, raising them in the right manner is certainly a task. Kids can be adorable and at the same time highly exasperating. Well, parents too are from planet earth and it's quite obvious for them to lose their patience when the kids repeatedly commit the same mistake. But all you parents are slightly mistaken here! Yelling might force your kids to do the task for that moment. However, in the long run, it can have a negative impact on his overall personality. Let us first know how yelling harms a child's growth. Aftereffects of Yelling Scares the child: Yelling scares your child. They get frightened and many times this might carve a distance between your relation. There are chances of your child withdrawing himself away from you and avoiding any moment of interaction. Makes them rude: Being a child, he might not be in a situation to yell back at you. However, the anger would subsequently harden his heart and he will feel no connection with you. In many cases, the kids who get subjected to yelling turn up to be extremely rude towards outsiders. Turns them disobedient: When yelling becomes a constant style of your parenting, kids start taking it lightly. They will not follow any of your instructions without being yelled at. You can even say that they turn immune to yelling. 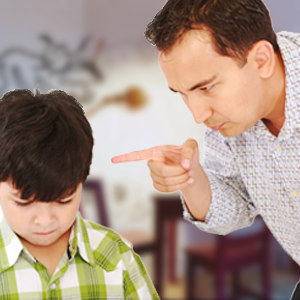 Develops attitude: In many cases, kids subjected to parental yelling develop an attitude. They might have temperament issues difficult to deal with. This will affect their social life and hamper their growth too. Manage your emotions: This is the first thing every parent around must stick to. In order to raise kids in an effective manner, managing your own emotions is very crucial. Your kids will learn to empathize if you show empathy and if you scream, expect nothing different a behavior from them. Keep your calm: As grown ups, you certainly have more control over your senses. You should utilize it in the right manner. Whenever your child repeats a mistake, don't lose your cool. Control your anger and try to deal with the matter calmly. Anger doesn't always need to be shown via shouting or yelling. Soften your tone: Don't be too harsh while scolding the little ones. You can use a stern voice but remember to keep the tone a bit low and soft. Reward their goodness: If your child does anything good or follows any of your instructions without fail say completing his homework on time etc, do reward him for the same. This will motivate the child to be self-disciplined. Punish wisely: Punishment doesn't mean you have to shout at them, or raise hands. If they have done anything wrong or have been repeating any mistake, punish them in a way that wouldn't affect them negatively. For instance, if they don't finish their school assignment; don't allow them to watch their favorite TV show or play with friends. Give them any simple task like helping you out in cleaning the house, arranging their wardrobe, books or anything in random. Commit to yourself: The ways of preventing from yelling at your kids may sound quite simple and easy to practice. But the real side of it would be very different. You will have to commit yourself and ensure that you keep practicing it until you get used to it. The stubborn behavior of kids might at times make you lose your patience, but you'll have to see that under no situation you let go of the self-control. Disciplining kids is very important but not at the cost of your loving relationship with them. Let them grow with positivity and your immense love!